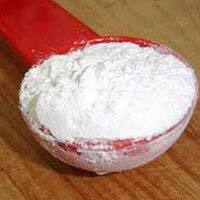 We are engaged in Manufacturing, Exporting and Supplying wide array of industrial chemicals. 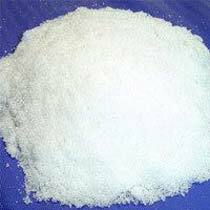 We offer various industrial chemicals such as Sodium Aluminium Sulphate, Aluminium Sulphate, Baking Powder, Sodium Tripolyphosphate and Trisodium Phosphate. These chemicals cater to the requirement of various industries that includes food industry, ceramic tiles industries, paper industries, etc. Our range of chemicals is well-acclaimed for its accurate composition and purity among the clients and has attracted them to place repeated orders. We cater to the needs of the clients of South East Asia, Middle East African countries and India. Our entire range of industrial chemicals is tested on various parameters of quality with our team of experts. Further, we inspect the products right from the manufacturing to the final dispatch of the products. 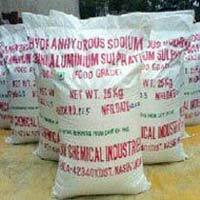 We offer these products in safe packaging using HDPE bags to the clients spread across the globe. 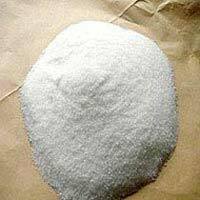 We are an eminent Manufacturer and Exporter of Aluminium Sulphate that is extensively used in Paper industries, Thermal power plants, etc. 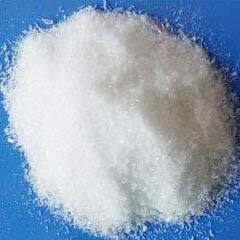 Aluminium Sulphate offered by us is known for its chemical and physical properties both in the domestic and foreign markets.